While most of the banks have hiked rates majorly in deposits made below Rs 1 crore, on the other hand, Axis Bank revised its interest rates on deposits made over Rs 5 crore today. The latest to jump on the fixed deposit interest rate hike bandwagon is private lender Axis Bank. Since the start of this month, lenders like Canara Bank, Punjab National Bank, Kotak Mahindra Bank and HDFC Bank have made revision in their FD rates, making them an attractive form of investment for customers. However, there is a catch! While most of the banks have hiked rates majorly in deposits made below Rs 1 crore, on the other hand, Axis Bank revised its interest rates on deposits made over Rs 5 crore today. The last time Axis Bank had hiked interest rate on FDs below Rs 1 cr was in the month October 29. Here’s the new interest rates on deposits with Axis Bank. For deposits made between Rs 5 crores to over Rs 100 crores, Axis Bank gives interest rate of 7.60% for 11 months to less than a year tenure. Whereas, a 7.90% interest rate will be offered by Axis Bank for tenure between 13 months to less than 14 months. As for 30 months to less than 3 years, Axis Bank gives 7.70% interest rate each for deposits made between Rs 5 crores to over Rs 100 crores. The similar interest rate is given also for tenure between 3 years to less than 5 years. Meanwhile, for the highest tenure which is 5 years to 10 years, Axis Bank gives 7% interest rate each on deposits made between Rs 5 crores to over Rs 100 crores. The highest interest provided by Axis Bank is on a 1 year 5 days to less than 1 year 11 days tenure, where deposits made between Rs 5 crores to below Rs 10 crores will see 8.17% benefit, whereas deposits between Rs 10 crores to below Rs 50 crores will earn up to 7.85% interest rate. 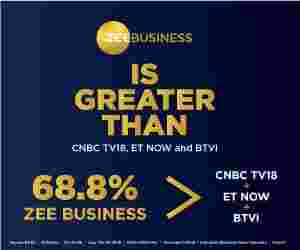 As for deposits between Rs 50 crores to below Rs 100 crores will earn also 8.17% rate, as for above Rs 100 crore investment, a customer will receive 8.25% interest rate. Lowest interest rate given by Axis Bank is for 7 days to 14 days and 15 days to 29 days tenure, where the lender offers benefit ranging from 5.75% to 6.50% on deposits between Rs 5 crore to over Rs 100 crore. 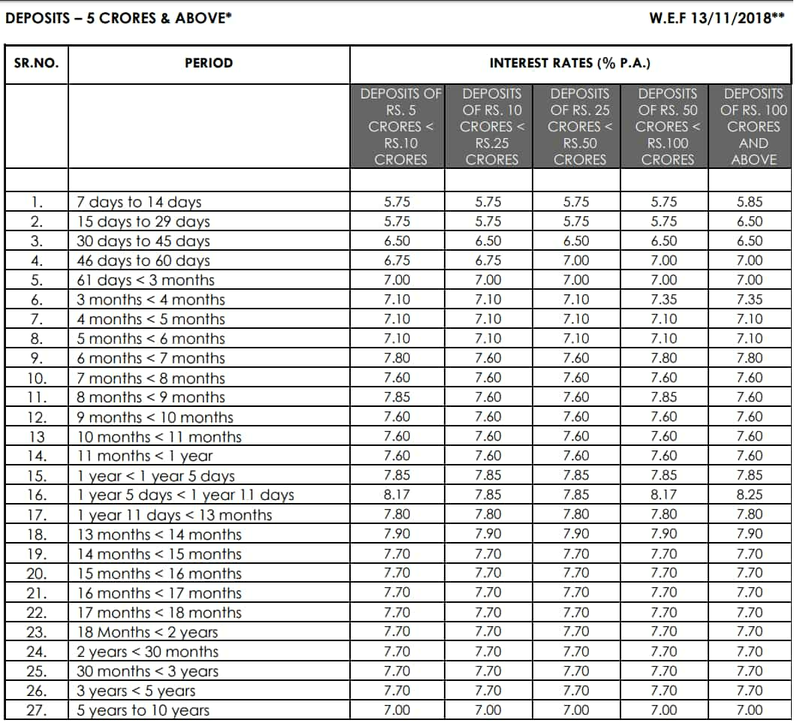 The above mentioned interest rates are in effect from today onward at Axis Bank. For terms & conditions and any other details, please contact your nearest Axis Bank Branch.